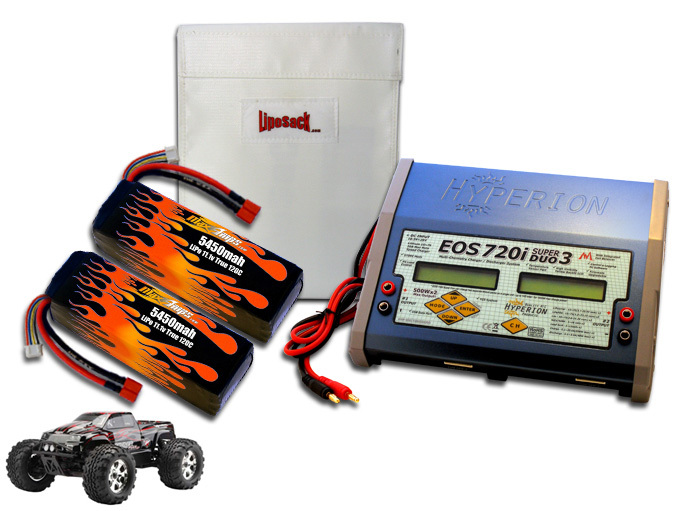 Ultimate kit for your HPI Savage Flux HP or XL! Add optional Power Supply to make it a RTR Kit. Bought Dual Lipo 5450 11.1 flux ARTR kit from Maxamps. Service was great! Every question was answered. I have already used charger and batteries in my Savage XL. Works great!